If you are migrating from Cloud Link to USS Agent, please ensure that Cloud Link is completely uninstalled before installing USS Agent. Resources on uninstalling Cloud Link can be found at http://help.cloudwebfiltering.com. To achieve an unattended install and uninstall of USS Agent, you can use the Startup/Shutdown Script functionality of Windows domain controllers. For simplicity, this article will show you how to edit the Startup/Shutdown script settings for the Default Domain Policy which is applied to all computers in the domain. You may want to select a different group policy to suit your needs. Right click and select Edit... and the Group Policy Management Editor snap-in will appear. Navigate to Computer Configuration then Policies then Windows Settings and click on Scripts. You can now configure either a startup script or a shutdown script. Right click on the Startup option from the right hand panel in Group Policy Management Editor. Click Show Files. A window will open showing the contents of the %SYSVOL%\domain\policies folder which is where the scripts are stored on the domain controller. Now right-click the newly created .bat file and click Edit. USS_USERNAME and USS_PASSWORD refers to your administrator login details for your USS Dashboard - the username must be an administrator @clouduss.com account for the install to work. Go back to the Properties for the Startup script and click Add and then Browse. You should be able to select the .bat file you saved above. Click Apply and then close the Properties window. Now you should push the changes out to your domain by refreshing the group policy. This happen automatically during a restart or you can use the command gpupdate /force on the client computers. The next time the computer starts up the script should run and install the USS Agent software. 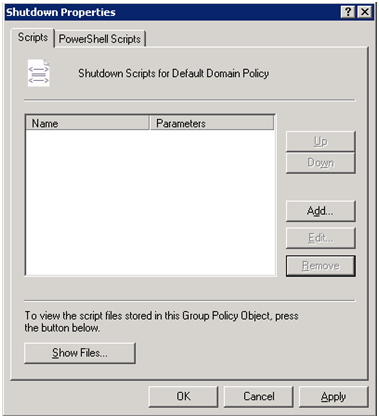 Right click on the Shutdown option from the right-hand panel in Group Policy Management Editor. Click Show Files. A window will open showing the contents of the %SYSVOL%\domain\policies folder which is where the scripts are stored. Right-click anywhere in the space and click New and then Text Document. 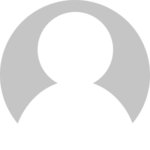 This will create a blank file - make sure you rename this file .bat (e.g uninstallagent.bat). A notepad window should open. Paste the following into the file, making sure to change the UNINSTALLPASSWORD to the password of the configuration profile assigned to the USS Agent.